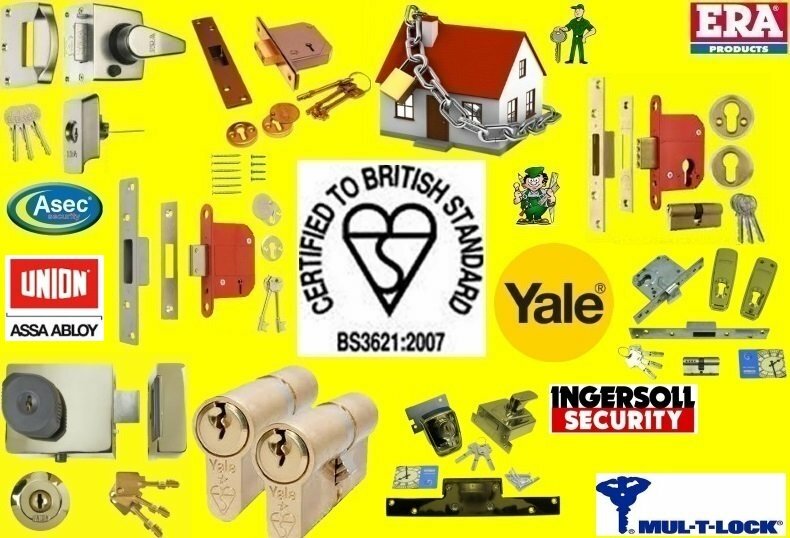 British Standard Locks are sold at our shop or fitted by our Tradespeople. British Standard North London Lock Fitting, Opening, Replacing and Repairing Service offered by North London Locksmiths Ltd. Covering all of the North London, North West London, Home Counties and Central London areas. We are a registered Company, being recommended by Police, Insurance Companies, Councils, Housing Associations and of course YOU. The British Standard North London Lock Fitting Service by the Number "ONE" Locksmith Company. When using a Locksmith Company you do not know, or is not registered. AT OUR TRADITIONAL LOCKSMITH SHOP AS WELL AS OFFERING A FULL SERVICE IN REPAIRING, MAKING KEYS TO LOCKS, WHERE KEYS HAVE BEEN LOST OR STOLEN, WE ALSO SELL MANY MAKES OF LOCKS. IF YOU LIVE IN OR NEAR THE FOLLOWING AREAS, YOU ARE NOT FAR FROM ONE OF OUR BRITISH STANDARD NORTH LONDON LOCK FITTERS. Our Number "ONE" British Standard North London Lock Fitters are available to fit these locks for you. Apart from our British Standard North London Lock Fitting and Opening Service, we offer locks at good discounted prices through our WEB SHOP.